one of the famous landmarks that shouldn't miss by every visitor when visiting Singapore would be none other than Merlion Park. 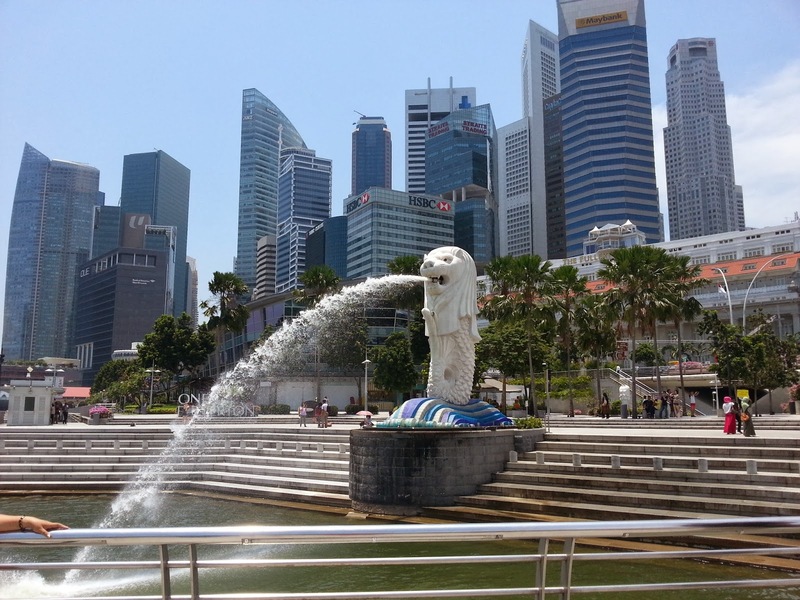 I guess most of you who had been to Singapore must be familiar with this well-known of tourist icon that has the combination of mythical creature with the head of lion and the body of fish. here how To Get To Merlion Park: Get off at Raffles Place MRT station on East West Line. Exit towards United Overseas Bank Plaza and from the middle of the plaza, you'll see the Fullerton Hotel. 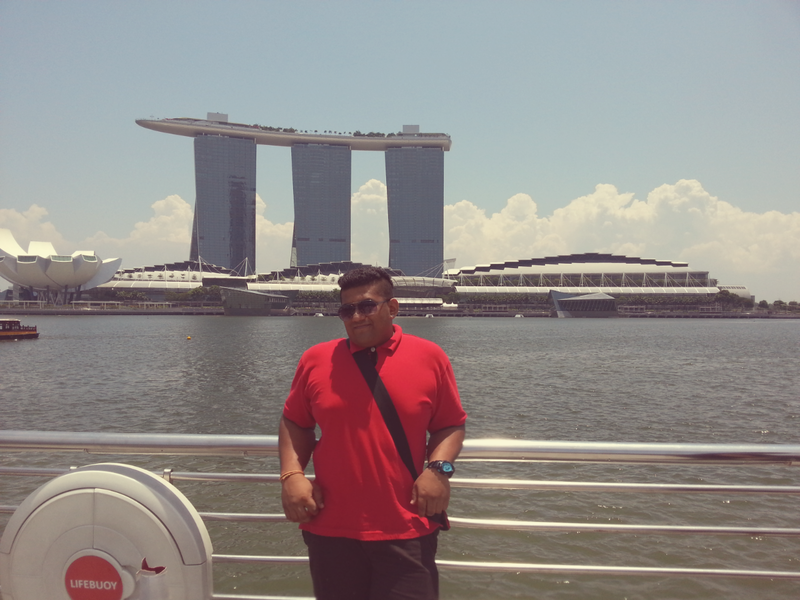 Merlion Park is just right behind it. 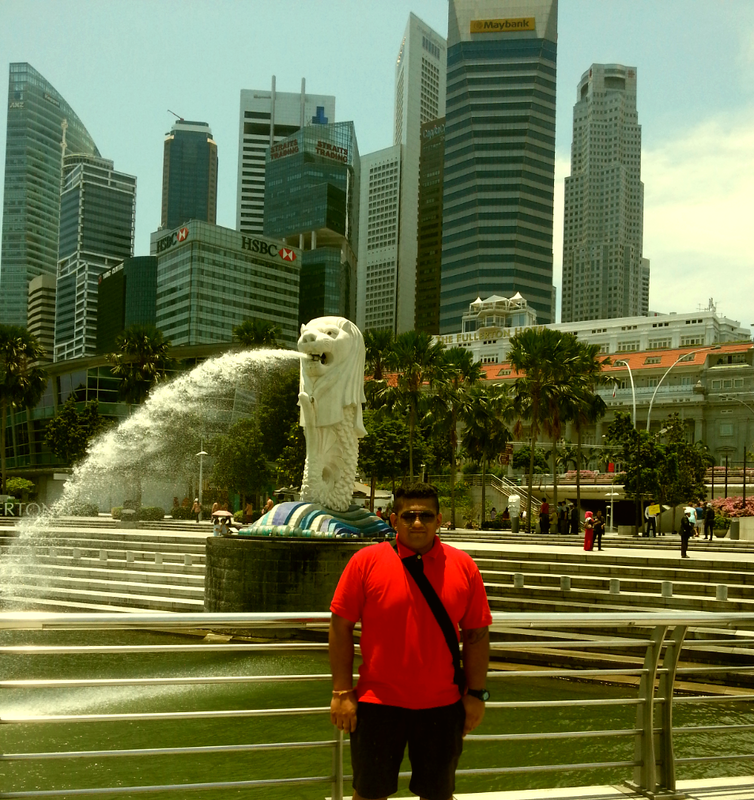 Singapore’s official symbol, 8.6 meters tall and weighing 70 tons, spouts water daily on the south bank of the mouth of the Singapore river. 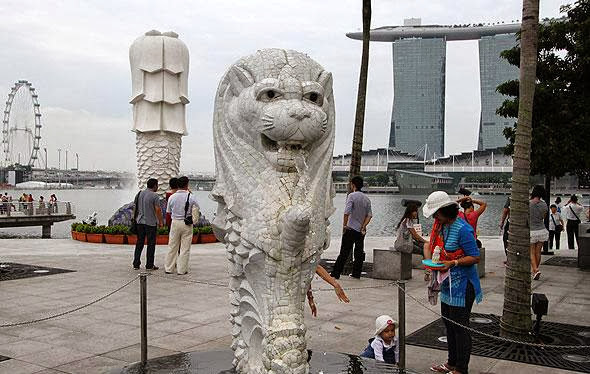 The Merlion has a lion head and a fish body resting on a crest of waves. 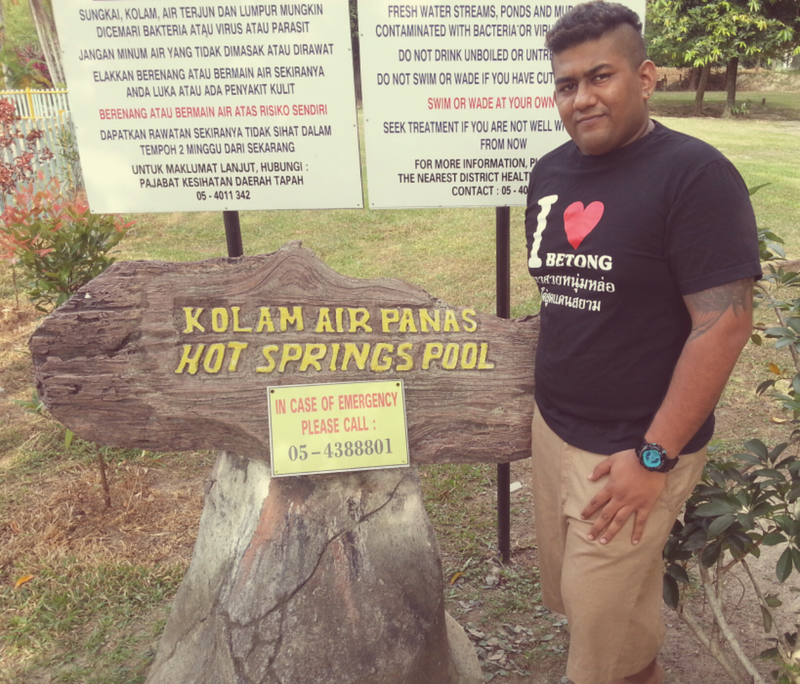 The lion head symbolises the legend of the rediscovery of Singapura, as recorded in the “Malay Annals”. 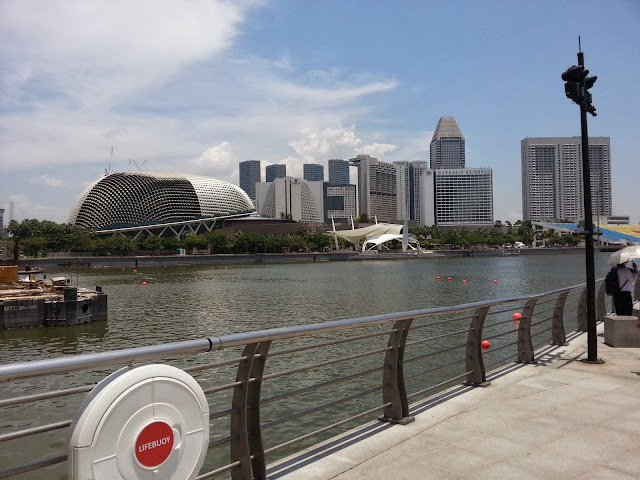 In ancient times, Singapore was known as Temasek, a Javanese word for sea. 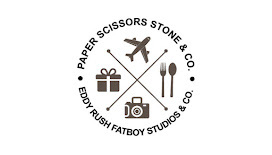 represents Singapre’s humble origins as a fishing village. 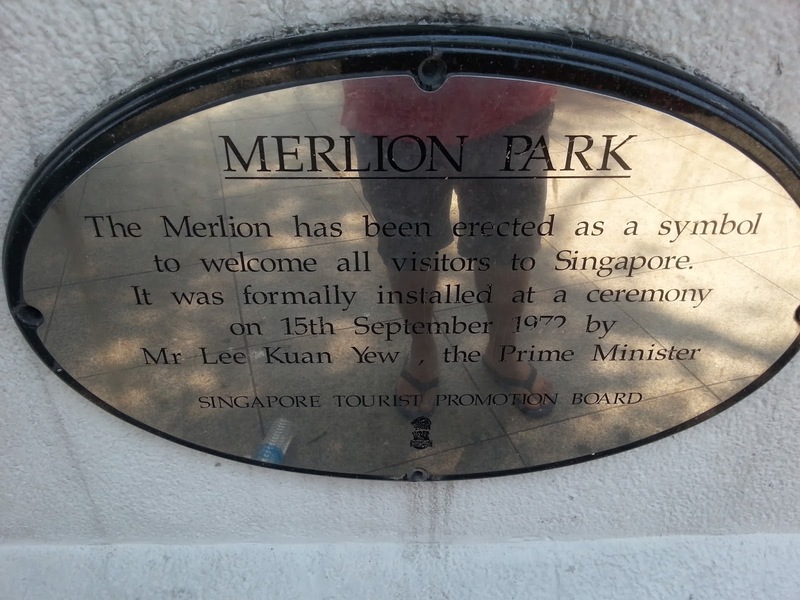 “Mer” refers to the sea and lion translates as “singa” in Sanskrit, while the fish tail symbolises the old city of Temasek. When visiting, don’t miss the bite-sized “Mini-Merlion” (officially the “Merlion cub”), a mere two meters tall, just 28m away towards the bridge. 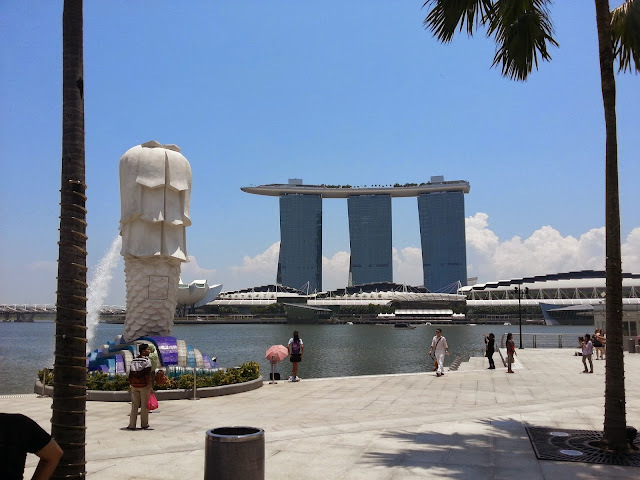 On the other side of Merlion Park which near to the mouth of Singapore River, we saw Esplanade Theater, a building that commonly known by the local as "the durians". It features a concert hall and a theatre. One of the latest grand building which can be seen from Merlion Park is the Marina Bay Sands.Marina Bay Sands is an integrated resort features thousands of luxury room hotel, casino, ice-skating rink, a museum, seven prominent of celebrity chef restaurants and more.